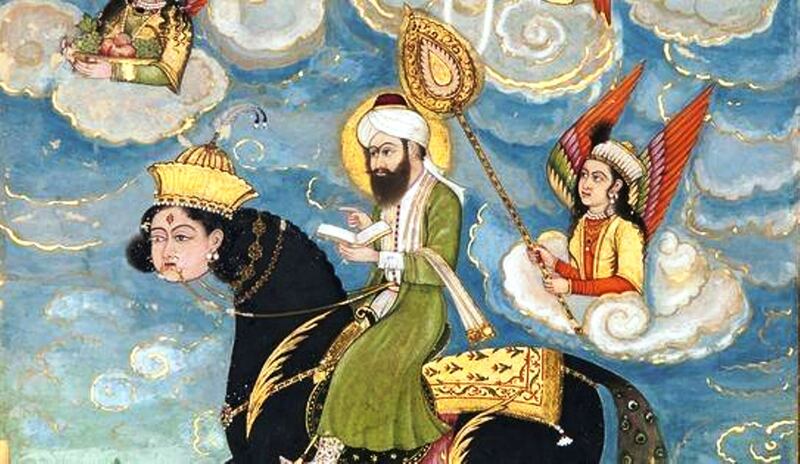 In short, the widespread narrative that European views of Muhammad as a “sinister figure,” a “cruel warlord,” and a “lecher and sexual pervert” began as a pretext to justify the late eleventh century Crusade—which itself is the source of all woes between Islam and the West—is an unmitigated lie. The sooner more people in the West understand this—understand the roots of the animosity—the sooner the true nature of the current (or rather ongoing) conflict will become clear. [i] Donner, Fred (ed), The Expansion of the Early Islamic State, 2008, 122. [iii] Hoyland, Robert G, Seeing Islam as Others Saw It, 1997, 57. [vi] Bonner, Michael (ed), Arab-Byzantine Relations in Early Islamic Times, 2004, 217-226; see also John Tolan, Saracens, 2002, 44. [vii] Daniel, Norman, Islam and the West: The Making of an Image, 1962, 67. [ix] Many modern academics portray this fact—that the polemics first made against Islam continued to be made with little variation centuries later—as proof that medieval Christians mindlessly copied and mimicked the early arguments against Islam without much reflection. On the contrary, because these early polemics were so comprehensive and well thought out they continue to be cited to this day by former Muslims as cause for them to apostatize. [xi] All quotes from John of Damascus, in Bonner, 217-226. [xii] The Chronicle of Theophanes, trans. Cyril Mango, 1997, 465.